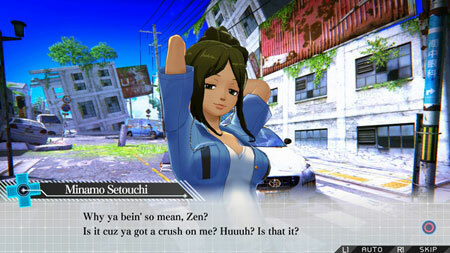 Zanki Zero: Last Beginning is an anime dungeon crawler RPG developed by Spike Chunsoft. Explore the ruins, dungeons, and islands through eight protagonists as they fight for survival and search for meaning in their never-ending cycles of life and death. We do not yet know the broken world and the reasons left behind there. Modern civilization was destroyed, becoming nothing more than debris wading in the sea. New ruins drift one after the other before the protagonist, who lives on one of those decaying islands. Hunt for materials and food while fending off monsters in real-time battle environments, but don’t forget to go to the bathroom. Depending on how you die, you can even earn bonus upgrades for your next life cycle. If you get stuck in the game, check out the video walkthrough and gameplay for the game. This entry was posted in PC Games, Walkthrough and tagged Zanki Zero: Last Beginning Cheats, Zanki Zero: Last Beginning Gameplay, Zanki Zero: Last Beginning Guide, Zanki Zero: Last Beginning Strategy, Zanki Zero: Last Beginning Walkthrough by Marvin. Bookmark the permalink.